The Sheriff is the highest ranking law enforcement officer in the county. The Office of the Sheriff is mandated by the Constitution of the Commonwealth of Pennsylvania. The Sheriff is an independent elected official with law enforcement responsibilities as well as civil and criminal court duties. 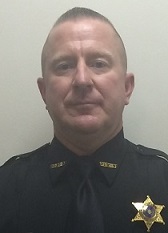 As the chief law enforcement officer, the Sheriff provides the same type of service as other law enforcement agencies (except for Criminal Investigations) and its main priority is to serve the Court of Common Pleas. In addition the Office of the Sheriff is responsible for service of civil work for the Court of Common Pleas as well as service of civil process for district magistrates, private attorneys, and other agencies. The Deputies also conduct Sheriff Sales, serve Possessions (Eviction Orders), civil Protection from Abuse Orders and Custody Orders. Centre County Deputy Sheriffs work diligently to apprehend individuals who have active warrants issued from the Courts. Along with all the duties listed above, the Deputies actively enforce all motor vehicle violations under PA Title 75. The Sheriff’s Office provides security for the Centre County Courthouse and University Park Airport as well as most county run agencies and county owned buildings. Sheriff’s Deputies transport prisoners to and from various state and county prisons across the Commonwealth for court proceedings. The office is also responsible for transporting persons back to Centre County who have fled to areas outside the boundaries of the Commonwealth to avoid prosecution. The Centre County Sheriff Deputies also patrol Snow Shoe Rails to Trails, Centre County Grange Fair, and assist with Penn State University Football Games. The Sheriff’s Office is responsible for issuance of License to Carry Firearms and regulate/license the county firearms dealers. More information on the License to Carry Firearms can be found under the License to Carry link on this page. Centre County Deputy Sheriffs attend an intensive19 week basic training course (Act 2 Certification) or have already completed Act 120 (MOPEC Certification). The Deputies must also attend Up Date training every two years. Centre County Deputy Sheriffs have completed Critical Incident Response Training and Civil Disturbance Tactics in conjunction with local police agencies. This training enhances the office in support of other law enforcement agencies. The Centre County Sheriff’s Office also has Deputies trained and specialized in the following areas; First Aid, AED and CPR, Oleoresin Capsicum (OC)/Pepper spray, Annual Firearm’s Training, Taser Training, Active Shooter Response, Crises Intervention Training (CIT) and FBI Post Blast Bomb School. The Centre County Sheriff’s Office is offering a new pilot senior check-in program. The goal with this program is to provide peace of mind to Centre County Residents who are over the age of 65 and independently living alone, as well as their families. More information and the application can be found under the Senior Check-In Program link on this page. Centre County Triad, a working partnership with county senior citizens and all Centre County law enforcement agencies was established in 1997. Triad sponsors a Citizens Police Academy every year as well as various crime prevention programs for our seniors. Centre County Sheriff’s Office annually assist with Centre County Camp Cadet. Centre County Sheriff’s Office will also be responsible for two Medication Collection Boxes. One Medication disposal site will be located at the Centre County Sheriff’s Office and the other located at the County Willowbank Building. See below for what is and what is not accepted. 1. Medications, whether prescription or over -the –counter, from households and residence are accepted. 3. Liquid pharmaceuticals shall remain in the original container.